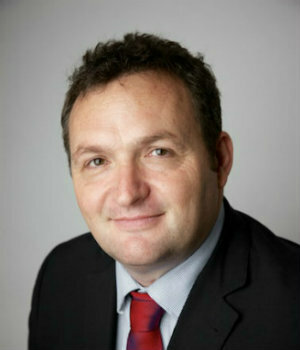 Peter McCutcheon is a Barrister and Solicitor, specialising in commercial and relationship property litigation. Peter has an economics degree, a post graduate banking diploma (with distinction), and a law degree from the University of Auckland (with honours). He has successfully completed the highly regarded New Zealand Law Society's Advocacy Course; its Lawyer as Negotiator workshop; the Australian Bar Association's Advanced Trial Advocacy Course; and the New Zealand Law Society's Advanced Litigation Skills Course. Peter has been a legal practitioner for over 15 years, and has been employed by some of the largest commercial law firms in New Zealand and Australia in corporate and commercial law. He also worked for one of New Zealand's largest commercial banks, for 4 years, before his legal career. Peter is committed to providing excellent legal services to companies and people who understand value. To discuss your requirements, phone us directly to talk about them. (Phone 09 815 3528). Peter primarily provides the services of a Barrister, but can provide Solicitor services to existing clients who require them and as his workload permits. Peter McCutcheon is a Barrister and Solicitor, specialising in commercial and relationship property litigation. Peter has an economics degree, a post graduate banking diploma (with distinction), and a law degree from the University of Auckland (with honours). Peter's more general litigation practice areas are commercial litigation, relationship property litigation, shareholders' disputes, insolvency and company liquidations, caveat disputes, estate disputes and criminal law. Peter is committed to providing excellent legal services to companies and people who understand value. © 2010 Peter McCutcheon Barrister and Solicitor. All rights reserved.